Parkinson’s disease is a movement disorder that typically develops after the age of 55, but it can appear in your 30s or 40s. 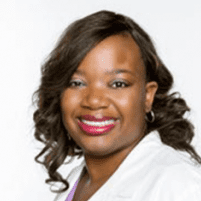 Whether you develop tremors, muscle rigidity, or other symptoms, Sharisse Stephenson, MD, at Neurological Associates of North Texas develops a customized treatment that controls your symptoms and helps you stay active. If you need treatment for Parkinson’s disease, call one of the offices in Abilene or Dallas, Texas, or book an appointment online. Parkinson’s disease develops when nerves that control movement start to degenerate and lose the ability to produce a brain chemical called dopamine. When 80% or more of these dopamine-producing nerves in your brain die, they cause Parkinsonian symptoms. Parkinson’s is a progressive and chronic disorder. However, its rate of progression and the severity of symptoms vary from one patient to the next. What symptoms develop due to Parkinson’s disease? You won’t necessarily develop all four primary symptoms with the same severity. For example, tremors may be your major problem, or you may have minor tremors and another symptom that presents a bigger challenge. Bradykinesia causes a gradual loss of many types of spontaneous movement. You may stop swinging your arm while walking or have a hard time buttoning a shirt. How is Parkinson’s disease treated? Treatment for Parkinson’s focuses on relieving your symptoms. Many medications are available to help restore the balance of brain chemicals. The gold-standard medication, levodopa, is converted into dopamine. Other medications work by mimicking brain chemicals and stopping enzymes that break down dopamine. As Parkinson’s progresses, you may notice that your medication wears off before you can take the next dose. As a result, you may develop dyskinesia, which refers to involuntary jerking or swaying movements. Dr. Stephenson may recommend surgery to relieve your uncontrollable movements. What benefits do I gain from volunteering for a clinical trial? Clinical trials are research studies in which new drugs, procedures, and therapies are tested in volunteers to verify they’re safety and effectiveness. Clinical trials are always approved by the federal Food and Drug Administration. Dr. Stephenson often conducts clinical trials, which give you access to new medications. Additionally, volunteers are often compensated for their time and their medical care during the study, which is free. As one example, Dr. Stephenson is recruiting volunteers for a clinical trial studying a new drug to treat constipation in patients with Parkinson’s. Volunteers for this study are paid $100 for each visit. To receive expert treatment for Parkinson’s, call Neurological Associates of North Texas, or book an appointment online.